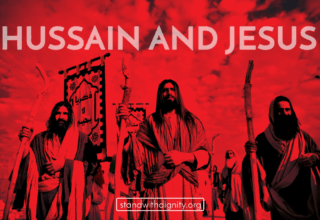 For decades and centuries, the followers of the School of AhlulBayt (AS) and the devotees of Prophet Muhammad’s purified household has carried the tradition of commemorating the day of Ashura which marks the tragic martyrdom of the holy grandson of the Prophet, Imam Husayn ibn Ali (AS). The beginning of the Islamic lunar calendar commences with a season of mourning and lamentation in the months of Muharram and Safar where the stories and tragedies which transpired in Karbala are told and narrated. Unfortunately, it has been observed that some among the believers question the authenticity of the stories narrated about Karbala with the claim that some details are told for exaggeration and embellishment to bring more tears and increase the emotions among the crowd. Sadly and surprisingly this opinion has spread among the followers of AhlulBayt (AS). When it comes to evaluating narrations and traditions coming from the Holy Prophet (SA) or other personalities, there is a science called the Science of Narrators (Ilm Al Rejaal) which investigates whether the narration is authentic, its degree of authenticity or weakness, based on the chain of narrators and other criteria. As followers of the school of AhlulBayt (AS), we do not believe in an absolutely Saheeh (absolutely authentic) book of narrations, as there is no authentic book except the Book of Allah (SWT). 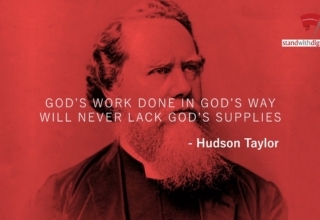 There is no tradition which we can verify that it is 100% true because at the end, the narration is carried to us by a fallible person who may have delivered wrong information, whether fully or partially, intentionally or not. However, we use tools like the study of the science of narrators, the Holy Quran, the historical context, and the intellect to determine whether we can accept a narration or not. This is applied to any narration and any story delivered to us, regardless of the topic. When it comes to the narrations concerning the story of Karbala and the tragedies which took place on the 10th of Muharram, the possibility exists that some details which are told are not full verifiable or not strong in its narration (Tawattur). 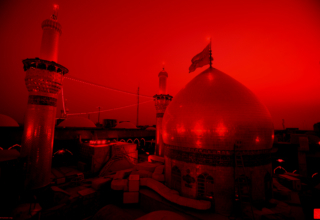 Each witness has a different account based on what they observed in the battlefield, or in the streets of Kufa and Damascus where the captives of Imam Husain (AS) were paraded, or in the courtyard of the tyrant killers, or in any other setting where the family of the Imam Husain (AS) faced injustices and indignity. Each eye may notice a detail different than another witness present in the same setting, and each narrator may deliver their story using different words or expression compared to another. 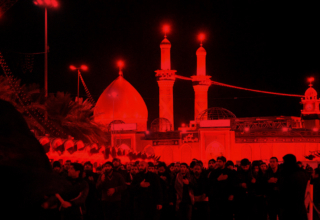 The question posed to us is this: With respect to the tragedies which took place in Karbala and the injustices committed on Imam Husain (AS), how concerned are we about the exact degree of authenticity of the narrations and stories told to us in that regard? And what will be the harmful consequences if we accept and believe a weak narration which presents a tragedy of AhlulBayt (AS)? The tragedies, calamities, and injustices committed on the plains of Karbala and post-Ashura cannot ever be properly described, encompassed, imagined, drawn, or narrated. No matter how many narrations we read, how many stories are told, or details presented, none will come close to presenting the magnanimity of the pain and sufferings which Imam Husain (AS), his family and companions faced! In Ziyarat Ashura which is taught to us by our Imams (AS), we bear witness to the greatness of this unique tragedy in the history of mankind: “يا أبا عبد الله لقد عظمت الرزية وجلت وعظمت المصيبة بك علينا وعلى جميع أهل الإسلام“Oh Aba Abdillah, unbearable is the sorrow and excruciating and unbearable is the misfortune which befell you for us and for all the Islamic nation! 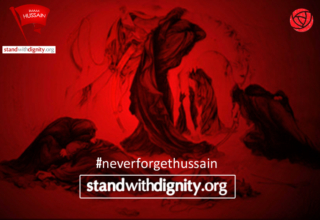 Some of us question the stories presented to us perhaps since we cannot comprehend certain extraordinary events took place such as rocks releasing blood in mourning for Imam Husain (AS) or the skies raining blood out of grief for his tragedy. Yet we forget that Allah’s will is greater than that of any creation and He is capable of manifesting miracles as He pleases. Why should we wonder about that when narrations confirm to us that the tree trunk which Prophet Muhammad (SA) used to lean on and use a tree trunk as a pillar when he delivered his speeches, began to shake and let out a cry and whimper , when it learned that a new pulpit was going to be built replacing it! Why should we not believe that the miracle of Allah (SWT) can be manifested for any of our Infallible Imams (AS), and for Imam Husain (AS) it is absolutely normal and natural! Sometimes, we preoccupy our minds with the fear that we are listening to Masa’eb (tragic incident) that may not be fully verifiable, that we forget to engulf ourselves in the everlasting grief of our beloved Imam Husain (AS). Some claim that people intentionally try to fabricate stories to make people cry. 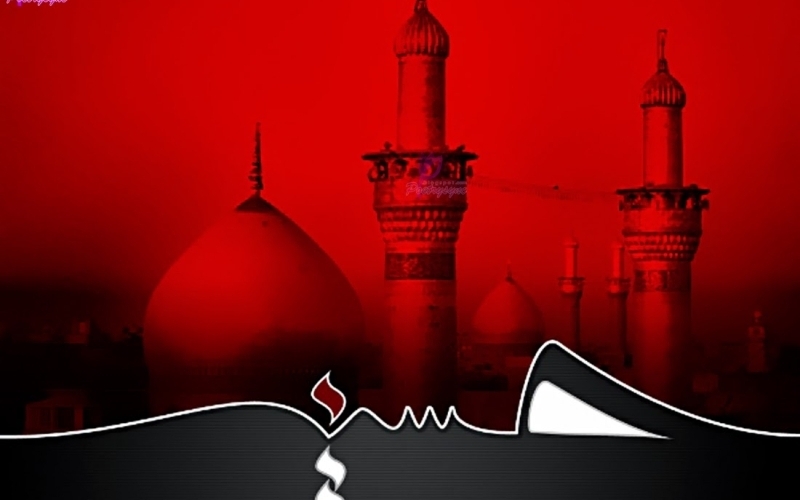 In essence, there is no need for people to attempt to add sugar and spice to the Karbala tragedy, because the massacre of Ashura already has all the horrific ingredients of unimaginable injustices, calamities, misfortunes, and aggression, that is sufficient to make every eye weep just by hearing the call of the purified name “Husain”, let alone hear a story or incident! Hence, he is known as قتيل العبرة , he whose mention brings tears to the eyes. The story of Karbala is in no need of embellishment or exaggeration, it is in no needed of fabricated scenes and dramatic details to move the emotions or promote the message of Imam Husain (AS). It is quoted by Ibrahim ibn Mahmood that Imam Ar-Redha (AS) said,“إن يوم الحسين أقرح جفوننا“The day which Imam Husain (AS) was killed made us shed so much tears that our eyes developed ulcers….. (Amali As-Sadooq) This hadeeth indicates that AhlulBayt (AS) are in a continuous state of grief and mourning as the illness in the eye does not appear except with excessive and continuous weeping. 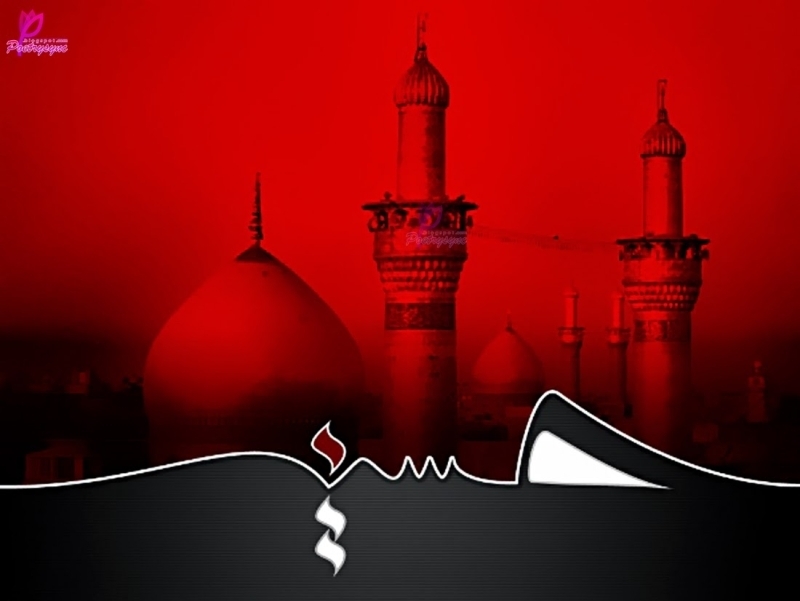 These statements and expressions by the Imam are not an exaggeration or an analogy, rather it is the sole truth which they have conveyed their state of grief to us not to add embellishment and drama to the Karbala tragedy, but to convey to us the message that the reality of what happened in Karbala which only they know far exceeds any powerful Majlis, poetry, or lamentation. The tragedy of Karbala is so great that our 12th Imam Al-Mahdi (AFS) vows in Ziyarat NahiyyaAl-Muqadassato his grandfather Imam Husain (AS),فلأندبنّك صباحاً ومساءً ولأبكينّ عليك بدل الدموع دماً حسرة عليك وتأسفاً على ما دهاك وتلهفاً حتى أموت بلوعة المصاب وغصة الاكتيابI will, therefore, lament you morning and evening, and will weep blood in place of tears, out of my anguish for you and my sorrow for all that befell you, until I meet death from the pain of the catastrophe and the choking grief.